There’s no arguing that communication technology and connectivity has gone forward in leaps and bounds in the past 50 years. But does our modern communication system have it when it counts? When the tornado touches ground and lives are at stake can we count on our standard communication systems to get us out of Dodge? 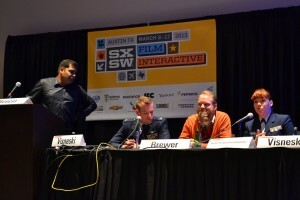 This was precisely the scenario that MCDM Director Hanson Hosein put to the Future of Disaster Communications panel at SXSW. “If a tornado touched down in Austin today, centered on the Austin Convention Center, how would you respond?” he asked the panel of three representatives of the US military with positions in disaster response: Lieutenant Ana Visneski, a Public Affairs officer with the US Coast Guard; Brandon Brewer, a Public Information Consultant and retired Coast Guard officer; and Captain John Visneski, a Cyberspace Control Officer with the US Air Force Lt. Visneski’s brother. Their answer was by and large, “yes,” but only with proper management and preparation. 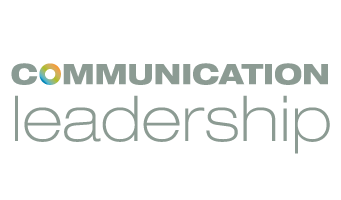 Their advice was not only insightful and pertinent, but applicable to any crisis requiring immediate communication responses, including branding and PR crises. While Captain Visneski and Mr Brewer discussed the role of Joint information Center (JIC) in establishing official sources to spread information, Lt. Visneski set up the framework of a complete digital JIC using a Twitter feed (@sxcrisis) and Facebook page. Clearly, modern communications platforms allow for some efficient official channel creation! But these modern platforms aren’t the only thing to consider. Lt. Visneski pointed out that with the plethora of channels to choose from it’s important to use every channel your audience will be using. This usually includes Twitter and Facebook, but may also include local news and blogging sites and legacy media channels as well because (shocker!) not everyone has a smart phone. Another key feature to any crisis communication plan is flexibility. You never know which systems will go down or what resources will be left to you. Even as response agencies have to be firm on core vetting values, they need to be open to use whatever tools make the information more accessible and accurate—even if that means using a brand new tool! All three panelists pushed the critical role of advanced planning, and not just for the primary response agencies. Every local organization affected by disasters—utilities, communications infrastructures, local law enforcement, and even average citizens—needs to be prepared. The most important preparation is to simply identify the people you will have to work with and make contact with them before hand. For citizens, the key was to know in advance where you will be able to get reliable information in case of a disaster. Once the teams are identified, they should coordinate the basics of a response plan, and specifically nail down the larger decisions like which communication channels will be used and who will manage what. Doing this in advance will make crisis communications exponentially simpler. For those of us not working or volunteering for disaster response organizations, it was reassuring to hear “the Man” laying out such insightful and up to date policies on crisis management. But my chief takeaway was that we as citizens have a responsibility to be ready to respond to crises as well: first, by vetting the information thrown at us about the hypothetical tornado at SXSW; and secondly to participate in the communication channels to share the accurate information when we find it. Fortunately, there are no tornadoes on the forecast so the stellar response plan developed in this panel can remain hypothetical. Which, for a disaster response plan, is the best possible state of being. Note: Lt. Ana Visneski is well-known to frequent FTM readers as MCDM student Ana Visneski, frequent contributor and now an editor of this blog.